This feature is available today in the US East (Northern Virginia), US West (Oregon), and EU (Ireland) regions, with support for the C3, C4, M4, and R3 instance types. The AWS Cost Explorer (read The New Cost Explorer for AWS to learn more) is a set of a tools that help you to track and manage your AWS costs. Last year we added saved reports, budgets & forecasts, and additional filtering & grouping dimensions. 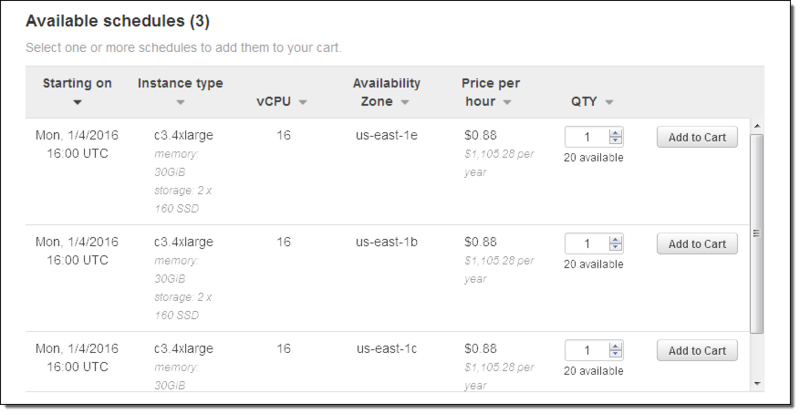 The EC2 cost data is now broken down into three elements: EC2 instances (EC2-Instances), Elastic Load Balancing (ELB), and Elastic Block Store (EBS). You can now filter, group, and view costs on additional dimensions, including Instance Type and Region. The new features are available now and you can start using them today. To learn more, read about Analyzing Your Costs with Cost Explorer. 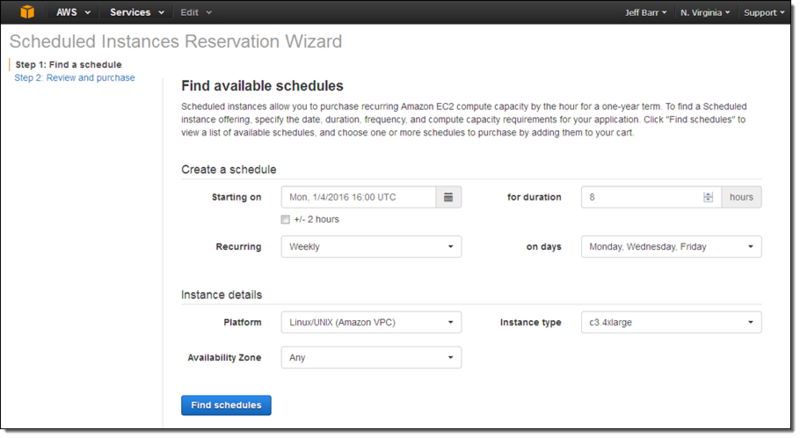 I am happy to be able to announce that we are making yet another EC2 price reduction! We are reducing the On-Demand and Reserved instance, and Dedicated host prices for C4 and M4 instances running Linux by 5% in the US East (Northern Virginia), US West (Northern California), US West (Oregon), EU (Ireland), EU (Frankfurt), Asia Pacific (Tokyo), Asia Pacific (Singapore), and Asia Pacific (Sydney) regions. We are also reducing the On-Demand, Reserved instance, and Dedicated host prices for R3 instances running Linux by 5% in the US East (Northern Virginia), US West (Northern California), US West (Oregon), EU (Ireland), EU (Frankfurt), Asia Pacific (Tokyo), Asia Pacific (Singapore), Asia Pacific (Sydney), and South America (São Paulo) regions. 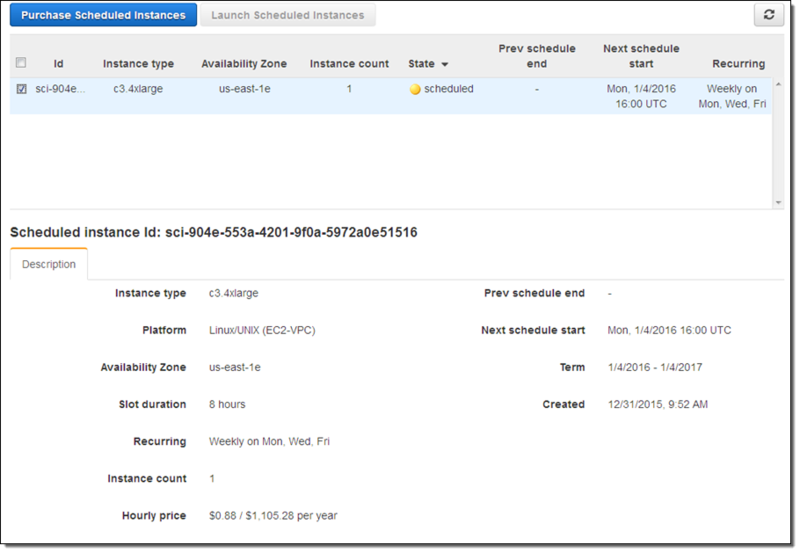 Finally, we are reducing the On-Demand and Reserved instance prices for R3 instances running Linux by 5% in the AWS GovCloud (US) regions. Smaller reductions apply to the same instance types that run SLES and RHEL in the regions mentioned. The new AWS Price List API will be updated later in the month. If you are keeping score, this is our 51st price reduction! My colleague Andrew Thomas wrote the guest post below to introduce you to the new EC2 Container Registry! I am happy to announce that Amazon EC2 Container Registry (ECR) is now generally available! Amazon ECR is a fully-managed Docker container registry that makes it easy for developers to store, manage, and deploy Docker container images. We pre-announced the service at AWS re:Invent and have been receiving a lot of interest and enthusiasm from developers ever since. We built Amazon ECR because many of you told us that running your own private Docker image registry presented many challenges like managing the infrastructure and handling large scale deployments that involve pulling hundreds of images at once. Self-hosted solutions, you said, are especially hard when deploying container images to clusters that span two or more AWS regions. Additionally, you told us that you needed fine-grained access control to repositories/images without having to manage certificates or credentials. Amazon ECR was designed to meet all of these needs and more. You do not need to install, operate, or scale your own container registry infrastructure. Amazon ECR hosts your images in a highly available and scalable architecture, allowing you to reliably deploy containers for your applications. Amazon ECR is also highly secure. Your images are transferred to the registry over HTTPS and automatically encrypted at rest in S3. 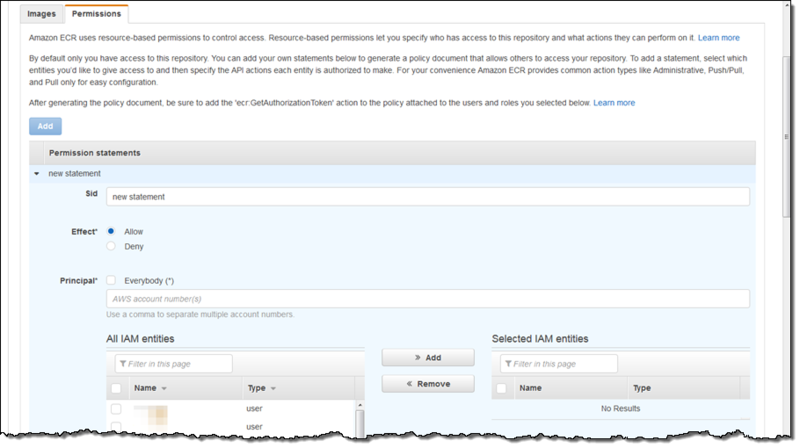 You can configure policies to manage permissions and control access to your images using AWS Identity and Access Management (IAM) users and roles without having to manage credentials directly on your EC2 instances. This enables you to share images with specific users or even AWS accounts. Amazon EC2 Container Registry also integrates with Amazon ECS and the Docker CLI, allowing you to simplify your development and production workflows. 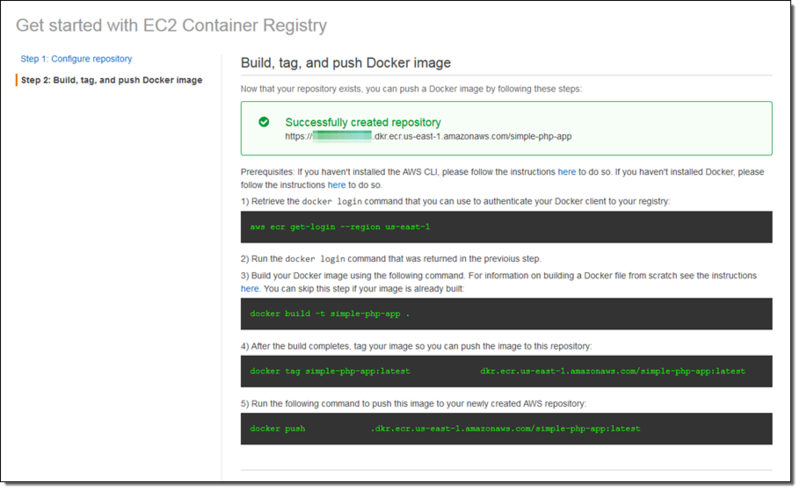 You can easily push your container images to Amazon ECR using the Docker CLI from your development machine, and Amazon ECS can pull them directly for production deployments. Let’s take a look at how easy it is to store, manage, and deploy Docker containers with Amazon ECR and Amazon ECS. The Amazon ECR Console simplifies the process of managing images and setting permissions on repositories. 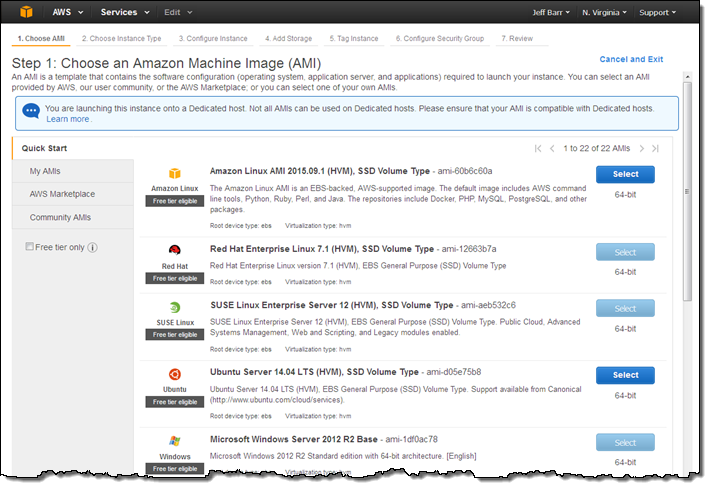 To access the console, simply navigate to the “Repositories” section in the Amazon ECS console. In this example I will push a simple PHP container image to Amazon ECR, configure permissions, and deploy the image to an Amazon ECS cluster. After navigating to the Amazon ECR Console and selecting “Get Started”, I am presented with a simple wizard to create and configure my repository. After entering the repository name, I see the repository endpoint URL that I will use to access Amazon ECR. By default I have access to this repository, so I don’t have to worry about permissions now and can set them later in the ECR console. When I click Next step, I see the commands I need to run in my terminal to build my Docker image and push it to the repository I just created. 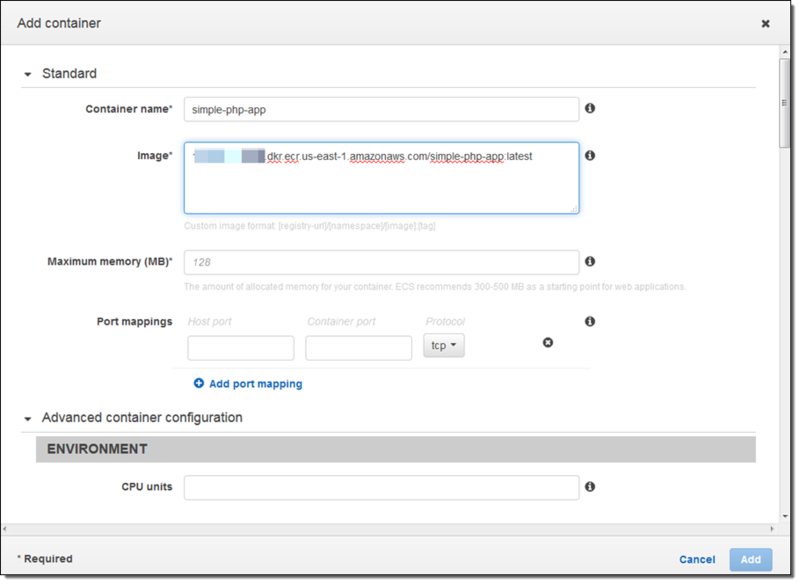 I am using the Dockerfile from the ECS Docker basics tutorial. The commands that appear in the console require that I have the AWS Command Line Interface (CLI) and Docker CLI installed on my development machine (if you are using the Amazon Linux AMI and are reading this in 2015, you will need to install the CLI manually). Next, I copy and run each command to login, tag the image with the ECR URI, and push the image to my repository. After completing these steps, I click Done to navigate to the repository where I can manage my images. Amazon ECR uses AWS Identity and Access Management to control and monitor who and what (e.g., EC2 instances) can access your container images. We built a permissions tool in the Amazon ECR Console to make it easier to create resource-based policies for your repositories. To use the tool I click on the Permissions tab in the repository and select Add. I now see that the fields in the form correspond to an IAM statement within a policy document. After adding the statement ID, I select whether this policy should explicitly deny or allow access. Next I can set who this statement should apply to by either entering another AWS account number or selecting users and roles in the entities table. After selecting the desired entities, I can then configure the actions that should apply to the statement. For convenience, I can use the toggles on the left to easily select the actions required for pull, push/pull, and administrative capabilities. Once I’ve created the repository, pushed the image, and set permissions I am now ready to deploy the image to ECS. Navigating to the Task Definitions section of the ECS console, I create a new Task Definition and specify the Amazon ECR repository in the Image field. Once I’ve configured the Task Definition, I can go to the Clusters section of the console and create a new service for my Task Definition. After creating the service, the ECS Agent will automatically pull down the image from ECR and start running it on an ECS cluster. At re:Invent we announced partnerships with a number of CI/CD providers to help automate deploying containers on ECS. We are excited to announce today that our partners have added support for Amazon ECR making it easy for developers to create and orchestrate a full, end-to-end container pipeline to automatically build, store, and deploy images on AWS. To get started check out the solutions from our launch partners who include Shippable, Codeship, Solano Labs, CloudBees, and CircleCI. We are also excited to announce a partnership with TwistLock to provide vulnerability scanning of images stored within ECR. This makes it even easier for developers to evaluate potential security threats before pushing to Amazon ECR and allows developers to monitor their containers running in production. See the Container Partners Page for more information about our partnerships. With Amazon ECR you only pay for the storage used by your images and data transfer from Amazon ECR to the internet or other regions. See the ECR Pricing page for more details. Check out our Getting Started with EC2 Container Registry page to start using Amazon ECR today! A desire to be able to do all of the above without the need for unfettered SSH access. This new feature makes command execution secure, reliable, convenient, and scalable. You can create your own commands and exercise fine-grained control over execution privileges using AWS Identity and Access Management (IAM). All of the commands are centrally logged to AWS CloudTrail for easy auditing. This feature is available now and you can start using it today in the US East (Northern Virginia), US West (Oregon), and EU (Ireland) regions. There’s no charge for the command, but you will be billed for other AWS resources that you consume. To learn more, visit the Run Command page. We announced the t2.nano instances earlier this year. Like their larger siblings (t2.micro, t2.small, t2.medium, and t2.large), these instances provide a baseline level of processing power, along with the ability to save up unused cycles and use them when the need arises. As I noted in my earlier post (New T2.Large Instances), this model has proven to be extremely popular with our customers. In fact, we did some research and found that, over the course of a couple of days, over 96% of the T2 instances always maintained a positive CPU Credit balance. In effect, you are paying for a very modest amount of processing power, yet have access to far more when the need arises. The pricing (which I will get to in a moment) becomes even more compelling when you purchase a 1 year or 3 year Reserved Instance. I expect to see the t2.nano used to host low-traffic websites, run microservices, support dev / test environments, and to be used as cost-effective monitoring vehicles. There are also plenty of ways to use these instances in training and educational settings. You can run Linux or Windows on these instances. However, our data shows that Windows instances consume more CPU and memory than Linux instances and you’ll want to do some testing and evaluation in order to decide which instance size will work best for your application. If you do not need the Windows GUI, you may want to take a look at the Server Core AMI. Let’s take a look at the full-system cost to host and run a low-traffic website (up to 25,000 visits or so per month) on AWS using a t2.nano for one month.This is a real-world configuration that is more than adequate to handle the load. Let’s say you really hit the jackpot and draw in 10 times as many visits as you planned for. You’ll pay less than $1 in additional Network Out charges, $0.81 to be precise. If you are running a small site and want to keep a watchful eye over your variable costs, don’t forget to create a billing alert. This is a powerful starter system that can easily scale to handle more traffic or to host a more complex site or application. Over time, you can expand to make use of other AWS services such as S3, Elastic Load Balancing, Auto Scaling, Amazon Relational Database Service (RDS), and AWS CloudFormation. 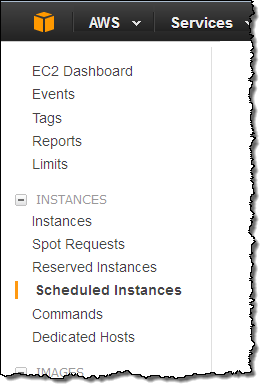 You also have access to T2 instances in other sizes, and to the full range of EC2 instance types. Our friends at Bitnami provide a very wide range of packaged tools and applications that can be used on AWS with a couple of clicks. They have optimized their very popular WordPress AMI for use on the t2.nano. You can find this and many other applications in the AWS Marketplace. You can launch t2.nano instances today in the US East (Northern Virginia), US West (Oregon), US West (Northern California), EU (Ireland), Asia Pacific (Singapore), Asia Pacific (Tokyo), South America (São Paulo), and AWS GovCloud (US) regions. The instances will be available soon in EU (Frankfurt) and Asia Pacific (Sydney). You can use them with AWS CloudFormation today; support for AWS Elastic Beanstalk (in the form of updated containers) is in the works. 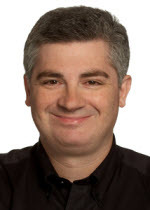 Encryption at Rest for Amazon Aurora. KMS Encryption for Amazon RDS. 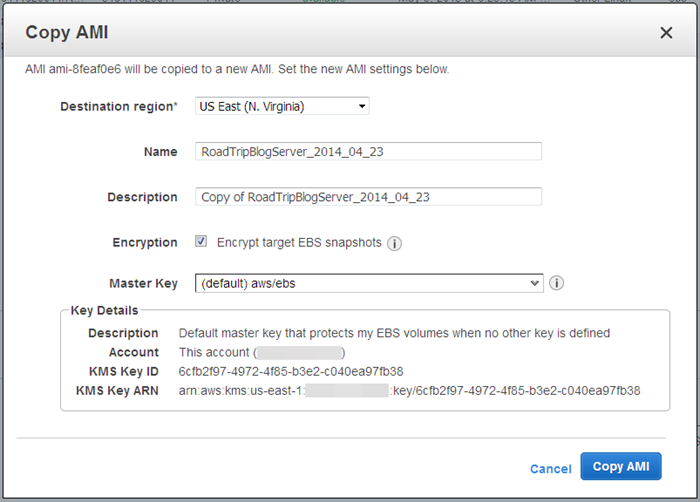 To learn more, check out the AWS Services That Offer Encryption Integrated with AWS KMS. Many customers tell me that they appreciate the fact that AWS makes it very easy for them to encrypt their data. They enable it as needed, and rely on AWS for the heavy lifting. Today we are launching encryption for EBS boot volumes. This feature builds on a recent release that allowed you to copy an EBS snapshot while also applying encryption. 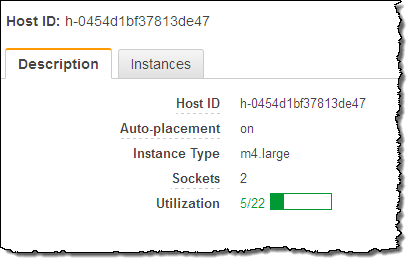 You can now create Amazon Machine Images (AMIs) that make use of encrypted EBS boot volumes and use the AMIs to launch EC2 instances. The stored data is encrypted, as is the data transfer path between the EBS volume and the EC2 instance. The data is decrypted on the instance on an as-needed basis, then stored only in memory. This feature will aid your security, compliance, and auditing efforts by allowing you to verify that all of the data that you store on EBS is encrypted, whether it is stored on a boot volume or on a data volume. Further, because this feature makes use of KMS, you can track and audit all uses of the encryption keys. Each EBS backed AMI contains references to one or more snapshots of EBS volumes. The first reference is to an image of the boot volume. The others (if present) are to snapshots of data volumes. When you launch the AMI, an EBS volume is created from each snapshot. Because EBS already supports encryption of data volumes (and by implication the snapshots associated with the volumes), you can now create a single AMI with a fully-encrypted set of volumes. You can, if you like, use individual Customer Master Keys in KMS for each volume. The process of creating an encrypted EBS boot volume begins with an existing AMI (either Linux or Windows). If you own the AMI, or if it is both public and free you can use it directly. Otherwise, you will need to launch the AMI, create an image from it, and then use that image to create the encrypted EBS boot volume (this applies, for example, to Windows AMIs). The resulting encrypted AMI will be private; you cannot share it with another AWS account. If you request encryption with --encrypted and do not supply the --kmsKeyID parameter, the default EBS Customer Master Key (CMK) for your account will be used. After you create your new AMI, you can use it to launch new instances as usual. You don’t need to make any other changes to your code or your operational practices. 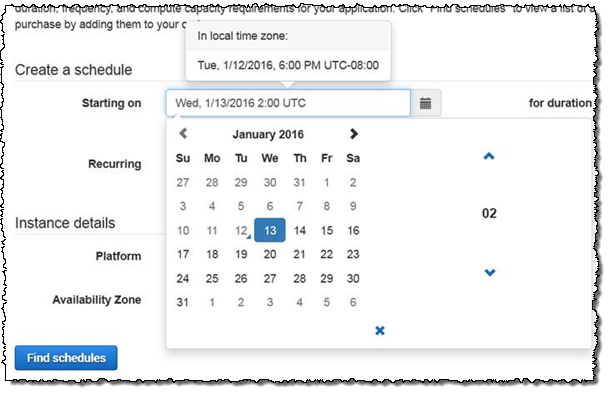 This new feature is available now in all AWS regions except China (Beijing) and you can start using it today at no additional charge. PS – The EBS team is hiring! Check out the EBS Careers page for more info. Bring Your Own Licenses – You can bring your existing server-based licenses for Windows Server, SQL Server, SUSE Linux Enterprise Server, and other enterprise systems and products to the cloud. Dedicated Hosts provide you with visibility into the number of sockets and physical cores that are available so that you can obtain and use software licenses that are a good match for the actual hardware. Help Meet Compliance and Regulatory Requirements – You can allocate Dedicated Hosts and use them to run applications on hardware that is fully dedicated to your use. Track Usage – You can use AWS Config to track the history of instances that are started and stopped on each of your Dedicated Hosts. This data can be used to verify usage against your licensing metrics. 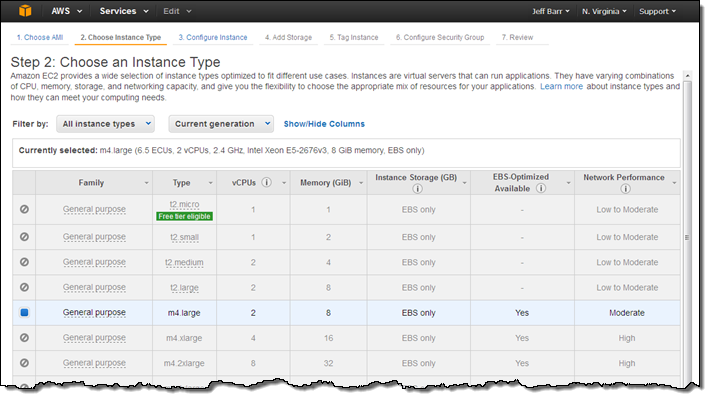 Control Instance Placement – You can exercise fine-grained control over the placement of EC2 instances on each of your Dedicated Hosts. I am happy to be able to announced the Dedicated Hosts are available now and that you can start using them today. You can launch them from the AWS Management Console, AWS Command Line Interface (CLI), AWS Tools for Windows PowerShell, or via code that makes calls to the AWS SDKs. 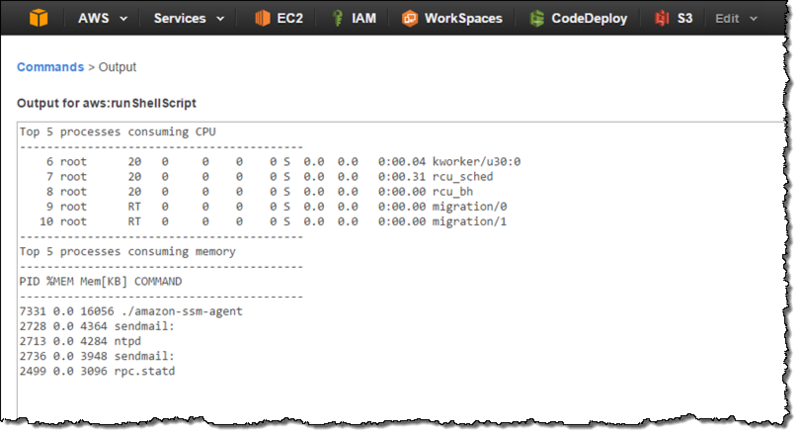 Let’s provision a Dedicated Host and then launch some EC2 instances on it via the Console! 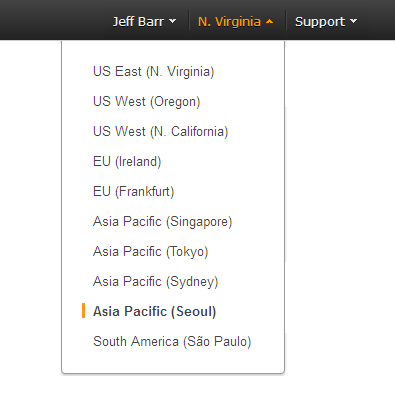 I simply open up the EC2 Console, select Dedicated Hosts in the left-side navigation bar, and click on Allocate a Host. I choose the instance type (Dedicated hosts for M3, M4, C3, C4, G2, R3, D2, and I2 instances are available), the Availability Zone, and the quantity (each Dedicated Host can accommodate one or more instances of a particular type, all of which must be the same size). 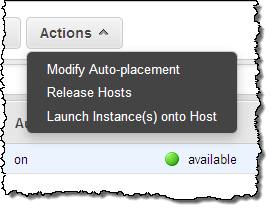 If I choose to allow instance auto-placement, subsequent launches of the designed instance type in the chosen Availability Zone are eligible for automatic placement on the Dedicated Host, and will be placed there if instance capacity is available on the host and the launch specifies a tenancy of Host without specifying a particular one. If I do not allow auto-placement, I must specifically target this Dedicated Host when I launch an instance. Billing for the Dedicated Host begins at this point. The size and number of instances are running on it does not have an impact on the cost. 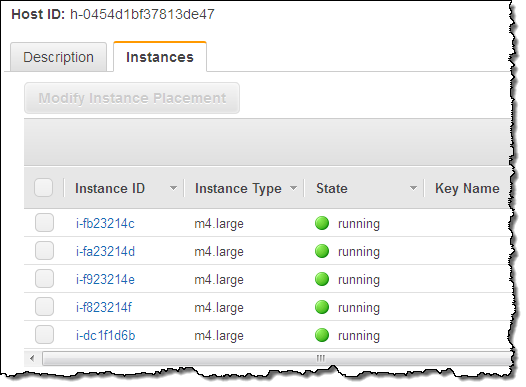 Instances launched on a Dedicated Host must always reside within a VPC. A single Dedicated Host can accommodate instances that run in more than one VPC. The remainder of the instance launch process proceeds in the usual way and I have access to the options that make sense when running on a Dedicated Host. You cannot, for example, run Spot instances on a Dedicated Host. If I select Affinity, a persistent relationship will be created between the Dedicated Host and the instance. This gives you confidence that the instance will restart on the same Host, and minimizes the possibility that you will inadvertently run licensed software on the wrong Host. If you import a Windows Server image (to pick one that we expect to be popular), you can keep it assigned to a particular physical server for at least 90 days, in accordance with the terms of the license. You can use your existing software licenses on Dedicated Hosts. Verify that the terms allow the software to be used in a virtualized environment, and use VM Import/Export to bring your existing machine images into the cloud. 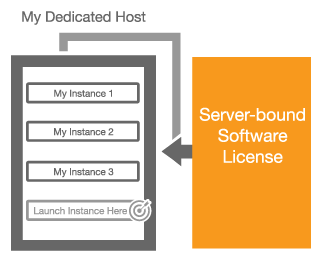 To learn more, read about Bring Your Own License in the EC2 Documentation. To learn more about Windows licensing options as they relate to AWS, read about Microsoft Licensing on AWS and our detailed Windows BYOL Licensing FAQ. 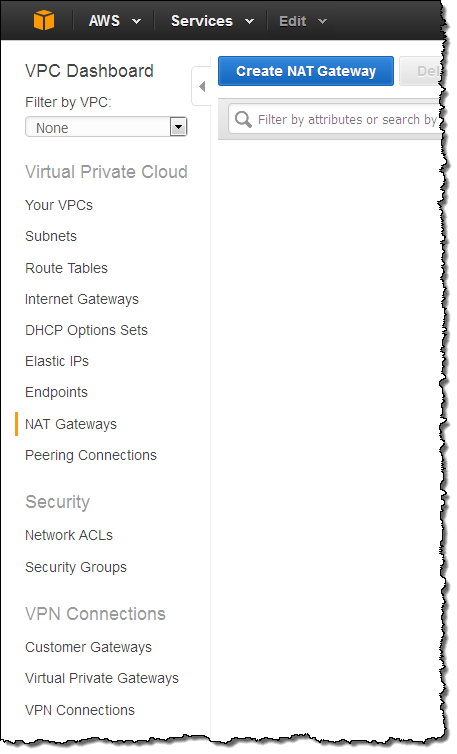 To learn more, read about Using AWS Config. As I mentioned earlier, billing begins when you allocate a Dedicated Host. For more information about pricing, visit the Dedicated Host Pricing page. 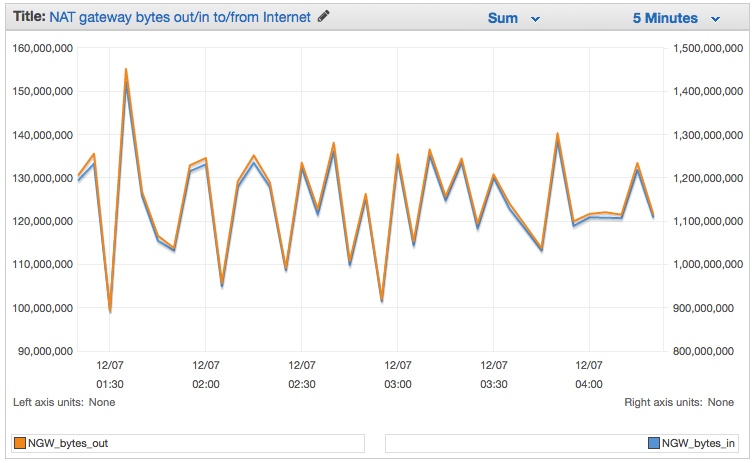 EC2 automatically monitors the health of each of your Dedicated Hosts and communicates it to you via the Console. The state is normally available; it switches to under-assessment if we are exploring a possible issue with the Dedicated Host. 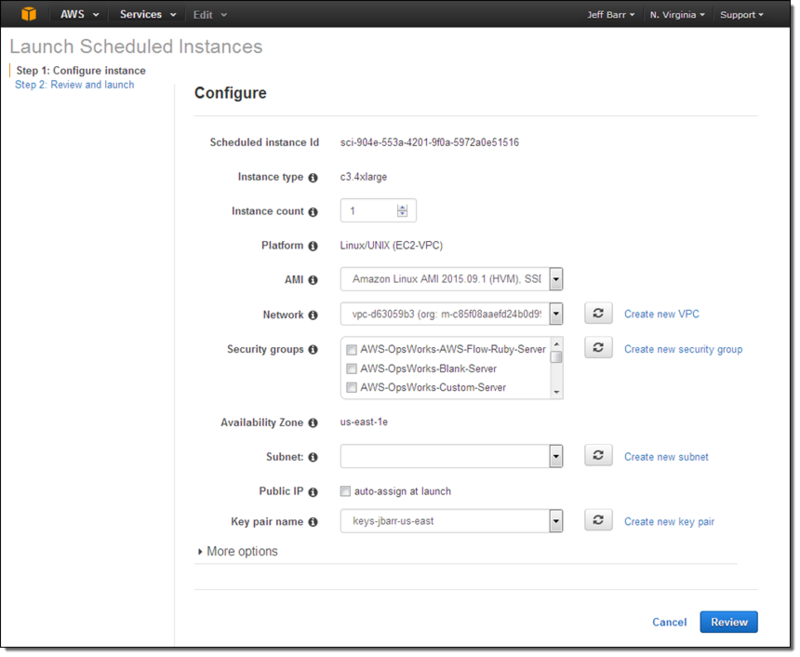 Instances launched on Dedicated Hosts must always reside within a VPC, but cannot make use of Placement Groups. Auto Scaling is not supported, and neither is RDS. Dedicated Hosts are available in the US East (Northern Virginia), US West (Oregon), US West (Northern California), EU (Ireland), EU (Frankfurt), Asia Pacific (Tokyo), Asia Pacific (Singapore), Asia Pacific (Sydney), and South America (São Paulo) regions. You can allocate up to 2 Dedicated Hosts per instance family (M4, C4, and so forth) per region; if you need more, just ask.